We’re finally able to bring you news that or brand new album ‘Home Counties’ will be released on the 2nd June 2017. It contains 19 ‘tracks’ inspired by our bitter-sweet relationship with the eponymous shires that have always been part of our lives. We recorded it in the summer and autumn of 2016 and it’s co-produced by Shawn Lee of Wall Of Sound and Young Gun Silver Fox fame. You can pre-order now on limited edition gatefold double vinyl, cd and of course cassette - with some exclusive extras – from our shop here. We set off on a UK tour in June but before that have three special warm up dates as follows…. Our tour kicks off in London on the day ‘Home Counties’ is released and we’re pleased to be playing a few of our favourite venues…. 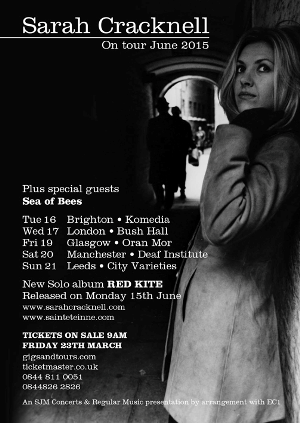 Tickets for all of these go on sale at 9am this Friday and you’ll find links to buy at the ‘Latest Events’ section here or by following us on Facebook (Saint Etienne Official) and Twitter (@bobpetesarah). We’ll also be bringing you news of festival performances and a US tour in Sep/Oct later this week so stay tuned. 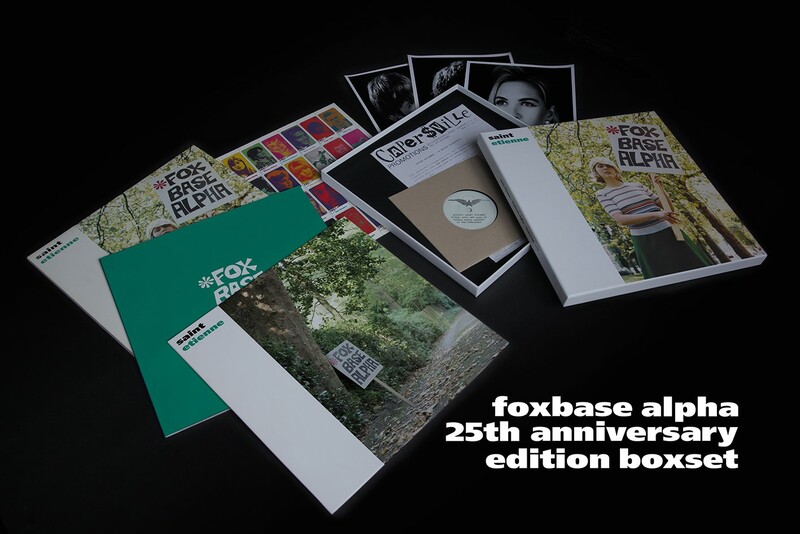 Finally we can bring you news on the 25th anniversary re-issues for ‘Foxbase Alpha’. It’s hard to believe that a quarter of a century has passed since our debut album first appeared in record shops and we hope you’ll like what we we have on offer to celebrate this special anniversary. An exact replica of the original Heavenly pressing from 1991 – resplendent with full colour inner sleeve and a digital download code for the music. Available to purchase from all good record shops and via the Saint Etienne webshop (click here) – for immediate shipping – from 5pm UK time this Thursday 27th October. • Remains Of The Day, an exclusive album that gathers together ten rare Foxbase Alpha-era recordings from the period most of which are appearing on vinyl for the first time. • An exclusive one-sided 7” featuring the original, previously unreleased version of Kiss And Make Up, featuring Only Love Can Break Your Heart singer Moira Lambert. • A perfect bound, 12″ square, 28 page book featuring many unseen photographs and artefacts from the era, plus a new interview with Bob Stanley by the Guardian’s Michael Hann. • Three 10”x 8” black and white portraits of the group. • A perforated sheet of Foxbase Alpha trading cards. • Exact reproductions of the original album press release and biography. • A digital download code for all of the music. All items included in the box are exclusive and won’t be available elsewhere . The box set can be pre-ordered at £50 (plus postage) from the Saint Etienne webshop (link below) from 5pm GMT this Thursday 27th October. Please move quickly as we’re expecting these to sell fast*. Due to lead times we have been advised that this item will not leave the factory until December 14th. We are doing all we can to bring that date forward so we can ship orders in time for Christmas but there is a strong possibility that orders will not ship until the first week or so in January. We’re sorry for this but wanted to ensure the contents of the box were the best quality possible. Last but not least we’ll be bringing you a.. This is essentially a straight re-press of the 2008 Universal Deluxe Edition. It comes with a lavish 28 page booklet with extensive sleeve notes by Tom Ewing and Jon Savage. Disc one is the original Foxbase Alpha album whilst disc two gathers together 14 rare tracks from the era. If you’re a CD person and missed this the first time around – now’s your chance. Available to purchase from all good record shops and via the Saint Etienne webshop (click here) for immediate shipping – from this Thursday 27th October. * The first 750 orders received come with a complimentary Foxbase Alpha carrier bag. We’re recording a brand new album at the moment and will be bringing you news on that very soon. We’re also planning a couple of Christmas bashes so stay tuned via all the usual places!! Christmas is not Christmas without tinsel, music, dancin’, special merchandise, and, erm, choice venues. Experience them all at one of four Saint Etienne Christmas Specials this December! Bob, Pete and Sarah will be joined onstage by the lovely Debsey and the lively Gerard Johnson with added instrumentation from Joe, Robin and Louisa who played with us on the How We Used To Live shows. Expect a set of Etienne classics (some not played for a long time), festive favourites and even a new song or two. We’ve literally hand picked some fine support “acts” and as hinted at earlier, each venue has been chosen for its aesthetic qualities to make it special, so special. Some say the word “special” is overused (especially in this mail-out) but we will be bringing a few special items of merchandise for sale at these shows. 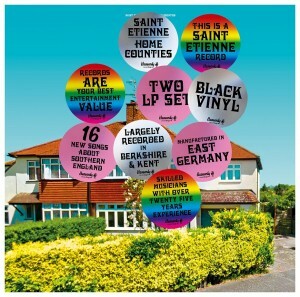 There will also be some new items – for all to buy – appearing in the Saint Etienne shop for the festive period. Stay tuned via twitter and facebook for updates. 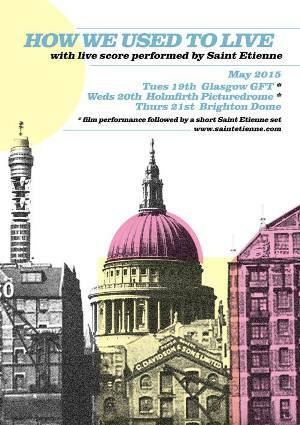 Following sold out performances of the How We Used To Live soundtrack at the Barbican Centre in London and Sheffield Doc Fest, Saint Etienne take the film on the road with a mini UK tour in May. The film will be accompanied by a live score performed by a seven piece Saint Etienne line-up including Sarah Cracknell, Debsey, Pete Wiggs and Gerard Johnson. The performance at Brighton Dome on Thursday 21st of May forms part of the Brighton Festival in will include the film only (70 mins) with no band set. The Holmfirth Picturedrome performance on Wednesday 20th is part of this years Holmfirth Film Festival, situated in the beautiful countryside of Yorkshire’s Pennine Hills. 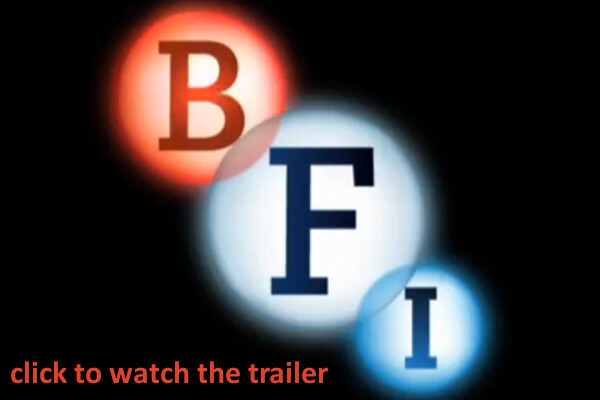 The film will be followed by a short 7-8 song Saint Etienne band set. The three date run commences in Glasgow on Tuesday 19th May at one of our favourite cinemas, the GFT. Once again the film will be followed by a short 7-8 song band set. After months of speculation and rumours we can finally announce that Sarah is releasing a brand new solo album – her first since ‘Lipslide’ in 1997 – this June. To co-inside with the release Sarah sets out on the road to play 5 intimate shows around the UK. Tickets for these go on sale at 9am this Friday 13th March. The venues are small – just 250-350 capacity rooms – so please book early to avoid disappointment. We will be bringing you more news on the record itself over the coming weeks so please stay tuned. All we can say right now is that Sarah has made something very special indeed. More news on the album very soon and we look forward to seeing you in June. 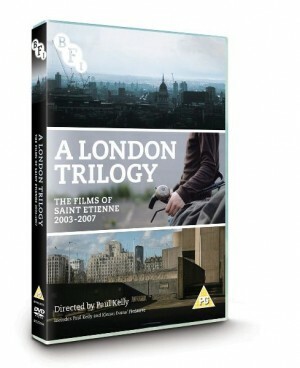 We are very proud to announce the release of our BFI DVD set A LONDON TRILOGY: THE FILMS OF SAINT ETIENNE, which will be released on July 15th 2013. Here are all the films we’ve made with director Paul Kelly over the last decade, in a lavish box complete with booklet containing essays from the likes of Owen Hatherley and Tom Dyckhoff. 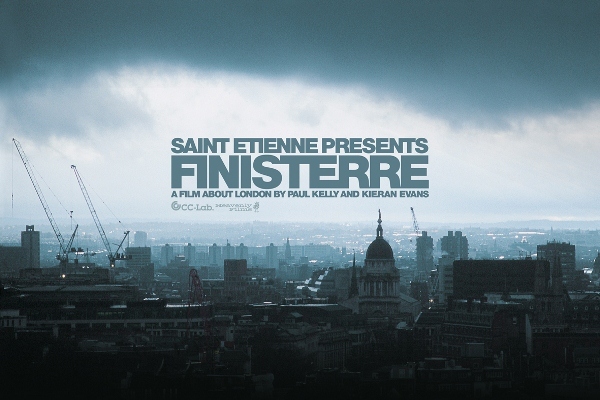 Finisterre (2003), directed by Paul Kelly and Kieran Evans, a homage to London – our London, that is. Scripted by Kevin Pearce, with contributions from Mark Perry, Julian Opie, Vic Godard, Vashti Bunyan, Nick Sanderson, Shena Mackay and Lawrence, this was our first attempt at something beyond a regular pop video. What Have You Done Today Mervyn Day? (2005) follows paperboy Mervyn Day on his round, uncovering the hidden history of East London’s Lower Lea Valley. It is set the day after the Olympic decision was made. This was destined to become a lost landscape and we wanted to preserve what remained of it on film before it was redeveloped to become the Olympic Park. Voiceover courtesy of David Essex and Linda Robson. This is Tomorrow (2007) was commissioned by the Southbank Centre where we spent a year as artists in residence. We wanted to record the history of the Festival Hall and interviewed surviving architects and designers including Leonard Manasseh and Robin Day. The film also documented the hall’s complete refurbishment from 2005-2007, which has once again made it London’s cultural centre. The extras are Todays Special, three short films about London cafes made for Channel 4; Monty the Lamb, which follows the mascot of Hendon FC in their last season at the legendary Claremont Road ground; Seven Summers, a return to the Lower Lea Valley just ahead of the Olympic Games; The Other South Bank, the tale of a former industrial town on Teesside; and Banksy In London, made up of outtakes from Finisterre, back when the artist was a benevolent East London presence. You also get an illustrated 32 page booklet with essays by Bob, Paul Kelly, Sukhdev Sandu (NYU), Owen Hatherley (New Ruins of Great Britain), Sonia Mullett (BFI) and Tom Dyckhoff (the Guardian). 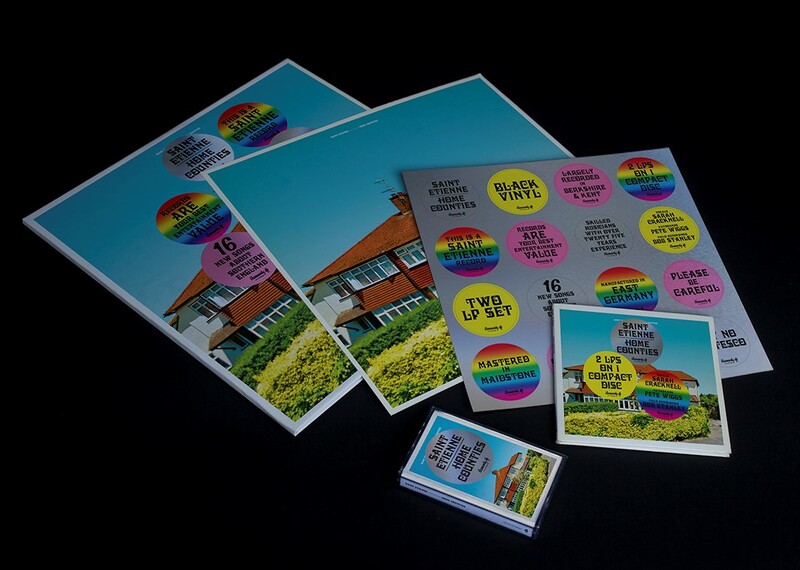 Those who pre order the DVD – ahead of it’s July 15th release date – via either Rough Trade or the BFI shop will also receive an exclusive set of four post cards – miniature replicas of the original film posters designed by Paul Kelly. We’re also holding a launch event at Rough Trade East on Friday 12th July from 6.30pm where we will be screening a selection of short films from the DVD. 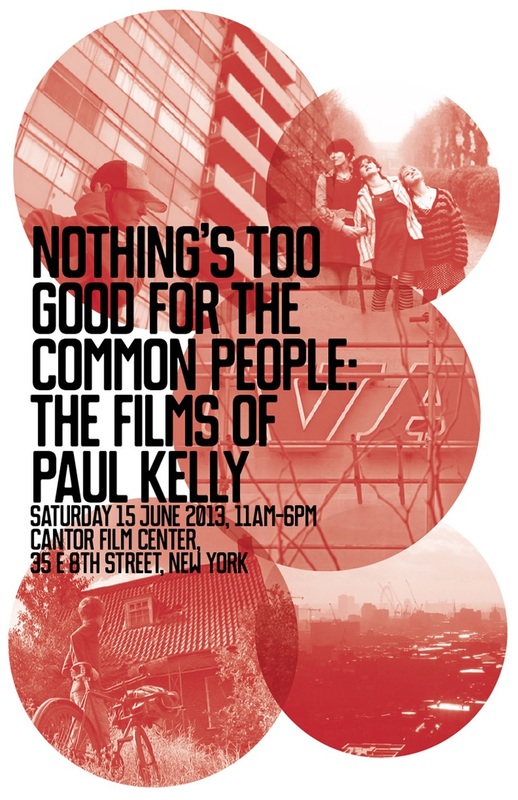 All three of us plus director Paul Kelly will be in conversation with Luke Turner from the Quietus. Admission is free and the DVD – with postcard set – will be on sale. This event is the first of a monthly club from Heavenly films. We’ll be bringing you some of our own material alongside rarely screened and much loved gems, with guest speakers and DJs. More news on the club soon but to stay up to date join our mailing list here, like our Facebook page here, or follow us on Twitter @heavenly_films.